So my daughter just turned two! While thinking of what to do for her birthday party I had two requirements: easy & inexpensive! For awhile, I was set on going to a local splash park and just letting the kids play... but realized that Anna wouldn't actually really love that! Which then made me start to brainstorm... "What are Anna's favorite things?" I got thinking about how she loves to paint her fingernails, she loves our dogs, she loves to ride our horses, and she loves to color/paint. The song from "The Sound of Music" kept coming to mind - "These are a few of my favorite things..." and I added... "Puppies & Ponies & Polish & Painting!" Every time I read her invite I actually sing it in my mind! I know, cheesy! But that's just me. 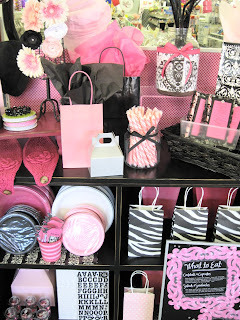 Featured Party Guest: A PINK Party! I can't get over all the fun details!!! 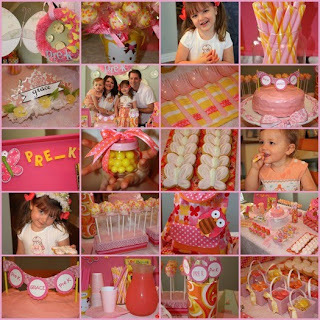 Check out Jessica's blog to see more of this Pink Pre-K Party! She went over and beyond for her little girl and she deserves a big round of applause!